Free English feed of the IJF13 from Perugia, Italy, 24-28th April 2013. 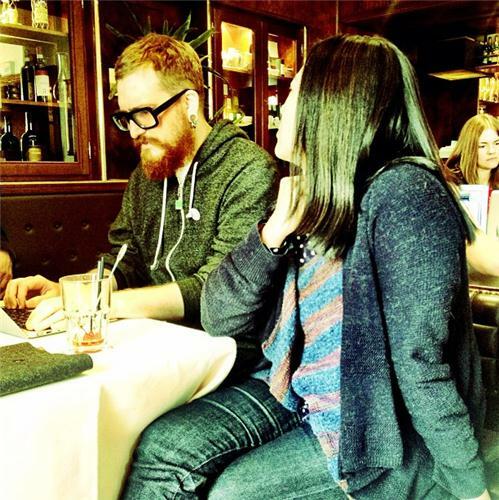 The festival lineup includes: Harper Reed, Mathew Ingram,Yoani Sanchez and Emily Bell. Douglas Arellanes former journalist at LA Times. Started to work in the media development field. We found out newsrooms are the same all around the world. We started to recognise commonalities between news organisations and their working methods. We are therefore trying to bridge together newsrooms by producing software given away for free. Newsrooms have limited resources. Not much money. Softwares cost money. Also, there is a strong competition from online platforms. Another thing we recognised is that newsrooms have embraced liveblogging - perhaps the first one operated by the Telegraph - and newsrooms are cooperating more. Pool coverage is nothing new. Pool coverage is key in conflict scenarios. With Superdesk (SourceFabric) we developed a syndication model like ScribbleLive and Storify. Pulling together stories from different parts of the web and from different parts of the world. The idea is that a liveblog can have a sort of RSS feed you can aggregate in different ways. We use open JSON standards for this communication. Live coverage of breaking news is now common for media organisations, with many of them running several live blogs simultaneously which is changing classical storytelling. New live blogging tools are arriving and for shrinking newsrooms it can be an answer for maintaining quality journalism. Multi-newsroom live blogs will allow aggregation of content from different newsrooms covering the same major event, such as a revolution or an election in a foreign country. Today we will liveblog things like the eynote speech by Mathew Ingram, a star panel featuring Adam Baker founder of Blottr; Eric Carvin social media editor AP; Anthony De Rosa, social media editor Reuters; Stuart Hughes, BBC News; Mark Little, founder and CEO Storyful; Turi Munthe CEO and founder Demotix. We might be liveblogging BuzzFeed presentation - let's see if we can drink that many coffees... - and open democracy movements in Russia. Finally, Bill Emmott and John Lloyd will discuss whether the web makes us free - or more free. Following the keynote speech of Emily Bell, former Guardian's and author of Post-Industrial Journalism essay. Internet connection is down so we put up the livestream instead. Lots of skills involve specialisation, thinking about new skills. The core skill will always be recognising and telling a story. It really relies on journalists knowing technical knowledge and ecosystem knowledge. Journalists will have to know where to spend their time more effectively. A brilliant narrative writer is just another specialist. It could be that your speciality is in developing news apps, or aggregating, or health care and the pharmaceutical industry or finding great pics of cats like in BuzzFeed. At Columbia we teach a course that combines computer science and journalism, for people working at the forefront of the industry. These are skills that people out there don't really have. It is worth to remember that journalism is very important. We work in exceptional and difficult circumstances, and Italian people know it. Our report acknowledges that, and shows the path for change. Report Post Industrial Journalism not centred on business models even though we say at the beginning is that the advertising model has failed. Whatever comes next has to have a different model. Post industrial journalism has to be a lot smaller. Why post industrial? Coz journalism is not an industry anymore. Production process was all about to get stories from one end of the pipe to the other, packaging stories and pushing them through. This is not really fit for the future. All reporting now can be done effectively with iPhone and old newsrooms can look outdated. There is no longer such a thing such the press addressing such a thing as the public. Modern newsrooms look a bit like House of Cards' one - the new series released on Netflix. The series is about post industrial journalism and the relationship with politics . The series has been carefully crafted with data: authors knew people like Kevin Spacey for this kind of role, and he was cast for the role. Newsrooms sometimes know they have to change but they are locked into processes and daily barriers and CMS issues … so that in the end they don't change. We are talking here about a major shift from a losing model to a winning one. We talked already about Homicide Watch in DC and Scotus Blog. The first had only two journalists, so they could not use the same tools of an old newsrooms. They used databases and social media to cover all homicides in DC area, and gathered large audiences. It is not monetisable and done in a non-political way, but it does imply a political angle. Why the Washington Post don't do that? They have other processes. Scotus Blog is a very niche blog for court reporting, but has become the most important source for the Supreme Court. They reported the decision more accurately than CNN because they had more legal expertees than CNN reporters. Many startups replace old institutions, which are weak and have no more longevity, they are not strong anymore. Ecosystem has become a weak one for news. There is a great deal of money going to startups and the problem of sustainability for big, old newsrooms. A MIXED ECOLOGY. The power shift has changed from the institution of the brand to the people. A fundamental change. We need power, strength and longevity to hold power into account, as power has all the three of these qualities. 75% of people still get the news from word of mouth. In the older days you had a blog where people can comment but only 1% of people comment, only 9% of people would put a mark or share or whatever. Last year this percentage rose to near 76%. A really enormous change. News are broken by people in St. Peters' Square waiting for the white smoke and feeding the news into the network in real time. The aim has always been of serving the needs of the brand. We never thought how to give journalists the right tools to build the right narratives for the stories. A modern news organisation is more like an agency model, perhaps. For the individual journalists is a big change. We need to think who to employ if we want to survive. Think about Nate Silver translating his skills as statistician into journalism, and the NYTimes decided to franchise his blog into the website, becoming one of the components of the political reporting effort in the rump up for the US elections. He never attended the wHite house meetings and never went on a plane with Obama. He did it differently, got it right and became the most successful and authoritarian journalist in the US. We got to a point where it was hard to sustain a business without public intervention or direct public funding. Many Italian newspapers are subsidised by Government. In the UK this idea his horrifying. Being under the Gov control is a terrible idea. A mixed model (American free-for-all one) and European is a desirable balance. Emily: people gave Pro Publica and HuffPost no credit, people thought they were not going to make it. Both proved critics wrong. Pro Publica's No Profit is still a business model. They use phenomenal new techniques to generate stories intersecting data reporting with social network. You might call it crowd-sourcing, ex examining contract superpacks amongst news channels investigation. They scaled a business model based on an algorithm instead of sourcing it to few people, and it proved to be successful. And HuffPost proved to be scalable too. If journalists are changing, how should editor change accordingly? Emily: They are usually the most important but also expensive role. Editors have to be producers as well. People want to see the metaprocess of how you produces news. You'll have to display how is your news gathering and news writing process to the community - it should be part of the news brand. You need to be really quick and really good. The question of how quick is irrelevant. Everybody, long or short form, need to be part of the conversation in real-time. Sometimes in networks not belonging to your organisation, but you need to be there so people trust you when you make an intervention. Question from Steve Buttry about ethical challenges. Emily: the stream and the personality and the transparency of a journalist has become fundamental, and it is ultimately down to you as a journalist. In the tech-blogging community the founder of Tech Crunch said very publicly that he takes money from tech companies sponsoring articles on the website. The model is shifting. The crucial decision is to be transparent about your fundings. The more you are, the more you'll have a sustainable audience. 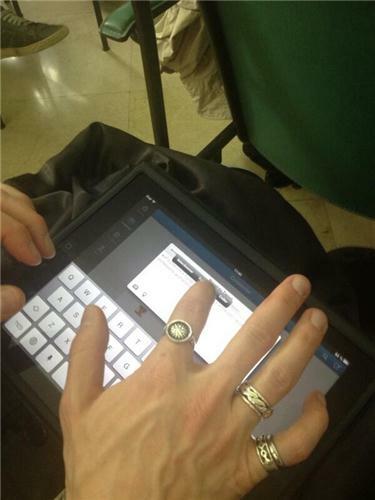 Question from the audience All newspapers in Italy are working towards a better integration between paper and online. Is this a sustainable model? Good question. People tend to make faster progresses when things are not integrated. If you accept the print is going away in the not-too-distant future... if you accept that, the fact that digital operations will be key... then it'll make sense to work for both. If not, it does not make sense. If you are in the middle, it feels right to build a bridge. You'll see a trend now of people saying:DON'T INTEGRATE, FIND OTHER WAYS. Cost cutting will be unavoidable, but for good. Anna Masera: how much time is left if we don't follow your model? How long have you got left with print? There is no single news organisation in UK or US which is not contemplating cutting paper. Enough said. 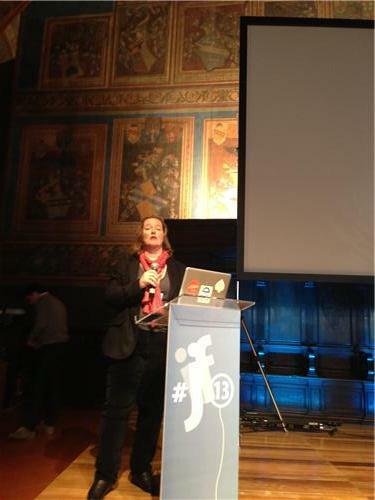 RT @annamasera: #ijf13 @emilybell to newsrooms: "Don't integrate, disintegrate!" Emily Bell: Auto-referentiality on social media LOSES. Genuinely engage people with what you really think is interesting, even elsewhere. 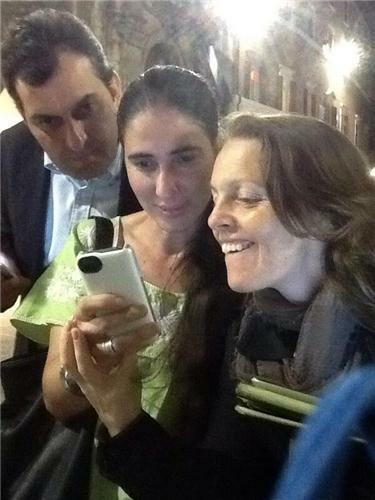 Yoani is welcomed by applauses and loud whistling. Mixed feelings tonight. 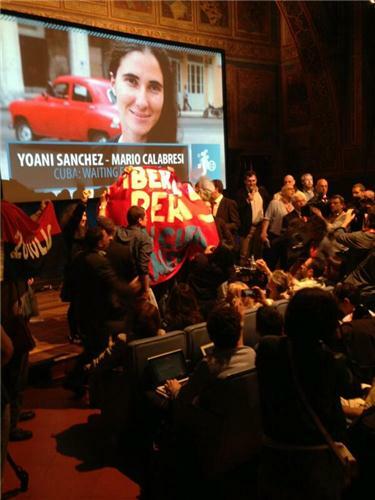 Yoani Sanchez is introduced by Omero Ciai. 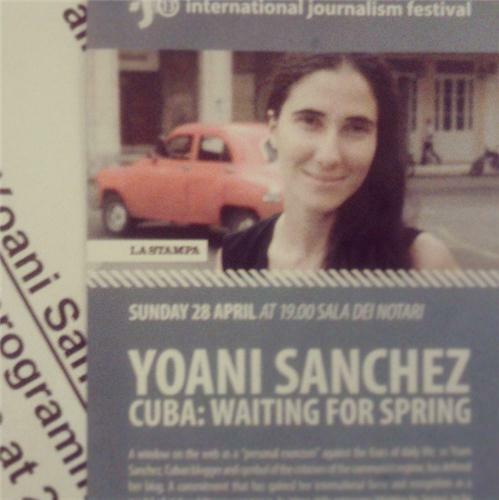 What's the difference between Yoani and the other Cuban dissidents? Ciai: Yoani is known worldwide, from Italy to Japan thanks to the Web. In her blog Generation Y she talks about her daily life, not politics. That's the reason behind her success. 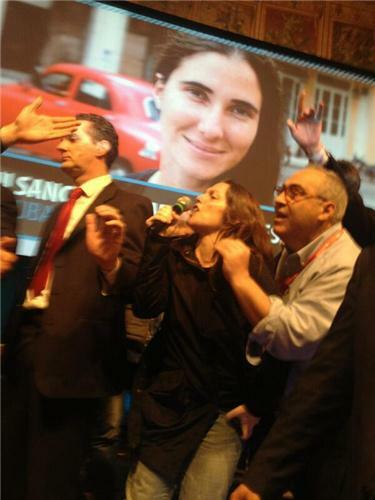 Calabresi: Yoani has no political platform. Her blog mirrors Columbia University's motto "Show, not tell". What she does is recounting Cuban everyday life, from Christmas celebrations to the queue at the post office. It gives you an idea on how people live in Cuba. And the IJF13 ended with an exciting bang. A group of around twenty demonstrators accused Sanchez of being pro-American, shouting "Yes to Cuba, no to Yankee" and throwing fake dollars with the face of Sanchez in it. They demanded the release of the Cuban Five, also known as the Miami Five (Gerardo Hernández, Antonio Guerrero, Ramón Labañino, Fernando González, and René González) who were convicted in Miami of conspiracy to committ espionage, murder and acting as an agent of a foreign government in the US. 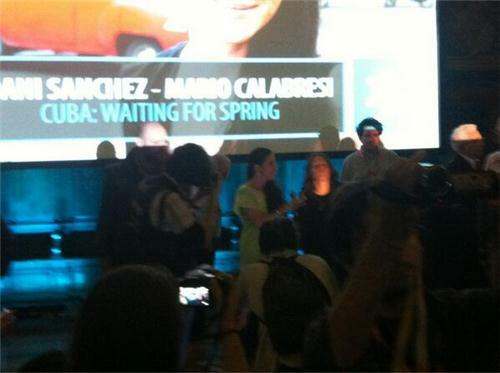 The group left the room singing Bella Ciao, an old Communist song used by Italian anti-Fascist partisans. Today it was the day of the shooting in front of the Italian premier's office, Palazzo Chigi, Rome, in which two Carabinieri police officers have been wounded. 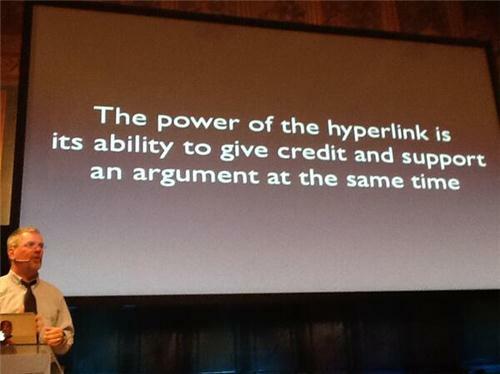 This obviously sparked vivid reactions amongst the community of active twitterers (also called journalists) gathered at the IJF13. 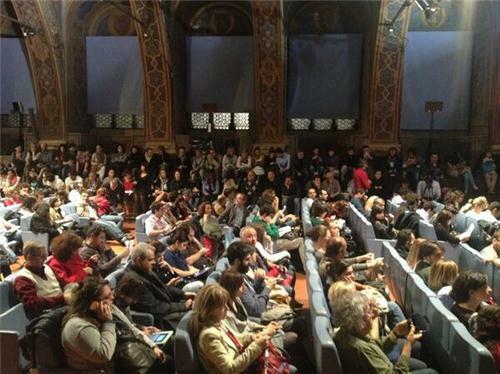 A heated debates took place also when a panel discussion was held to analyse the Five Star Movement. 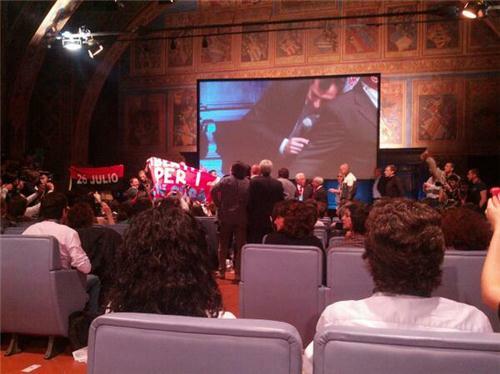 Grillo's supporters vehemently contested the journalists who were debating. Big bang day for a big bang festival. It has been a great occasion for journalists to rub shoulders with each other, being told they need to change everything or being prepared to die and pleasantly breath some new fresh air from abroad. Hopefully the wind of change will hit Italian journalism shores soon. In the meantime, let me thank you for your attention and participation. It has been hard to liveblog it all alone, in English, but I did what I could to - at least - try to make you feel you were here, with us, tirelessly ping-balling from one debate to another while thinking and tweeting.